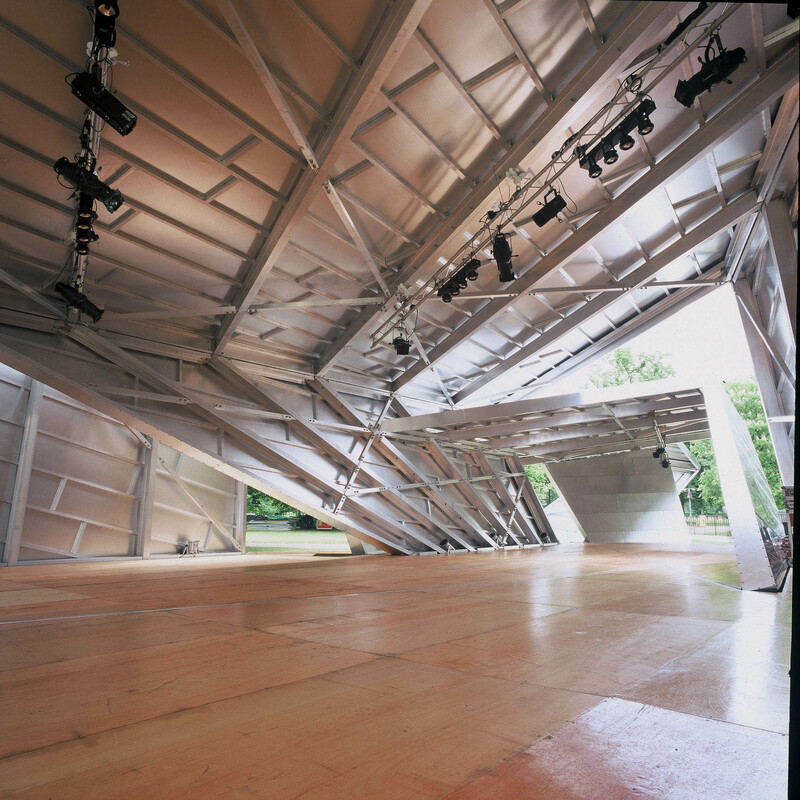 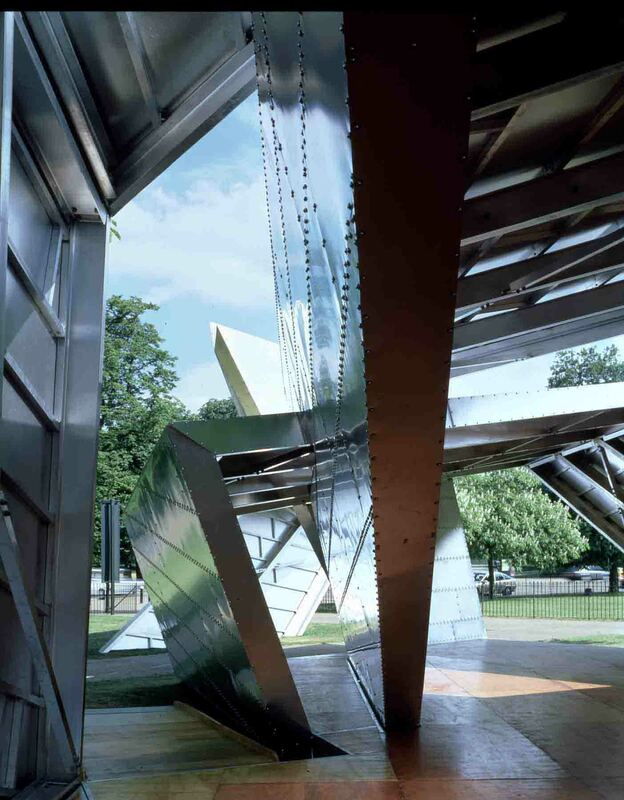 Highlighting the beauty of the Kensington Gardens and their connection to the gallery, Daniel Libeskind’s striking design for the Serpentine Gallery Pavilion 2001, entitled Eighteen Turns, was created from sheer metallic planes assembled in a dynamic sequence. 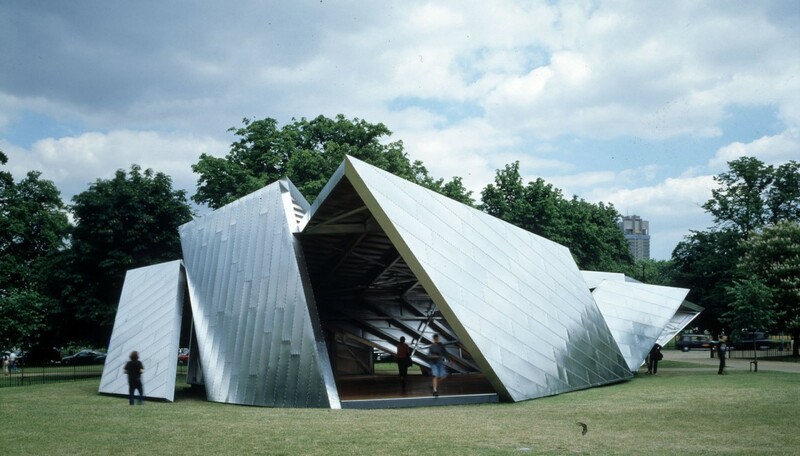 The building was based on the concept of an origami figure. 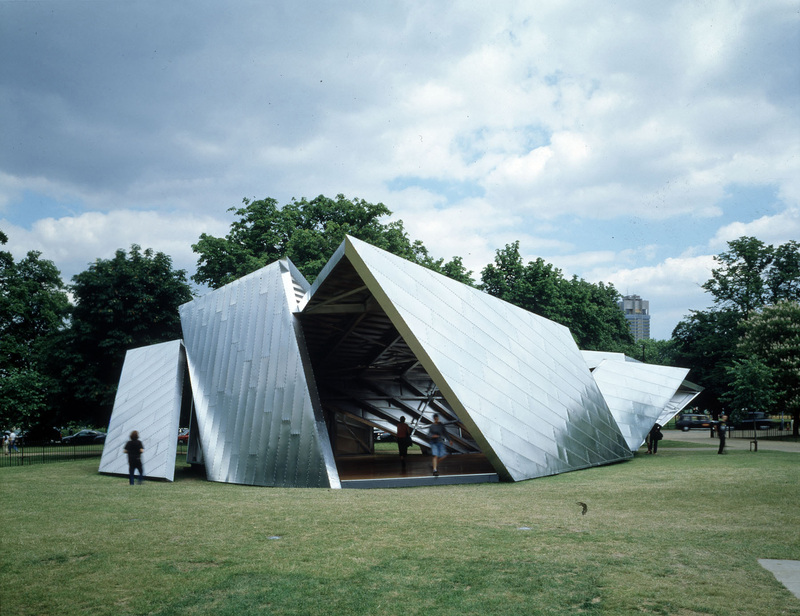 This created an angular panel structure that seemingly folds over itself, forming overlapping spaces. The 35x18x7m aluminum structure functions as a lecture theatre, cafe and gallery party venue. 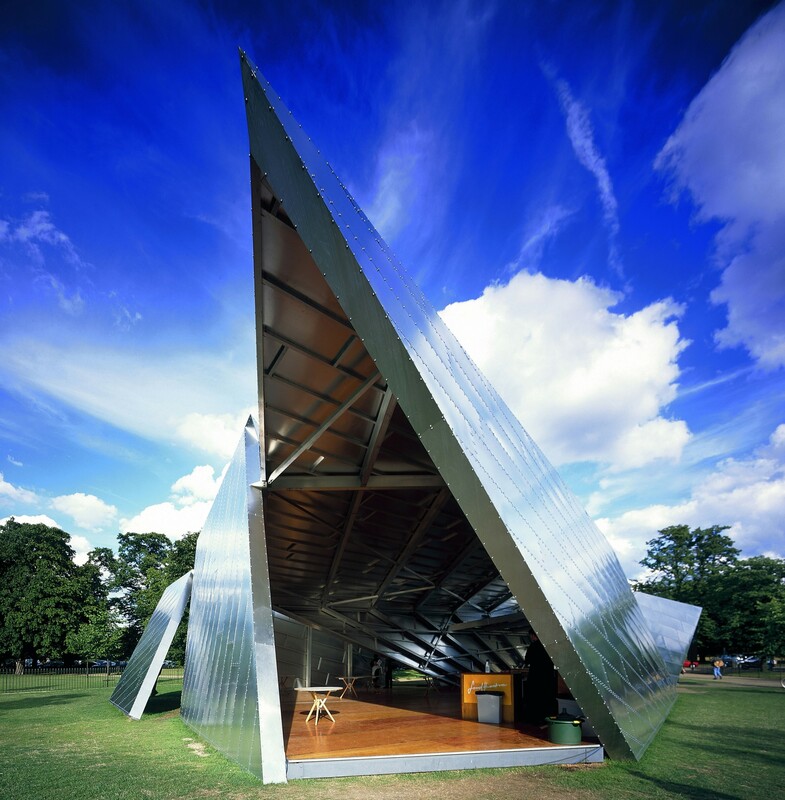 The reflective quality of the material aimed to mirror the surrounding green space and the Serpentine Gallery itself.